For decades, we’ve been warned of a wookiee’s inherent nature and have been taught to never upset everyone’s favorite walking carpet, Chewbacca. 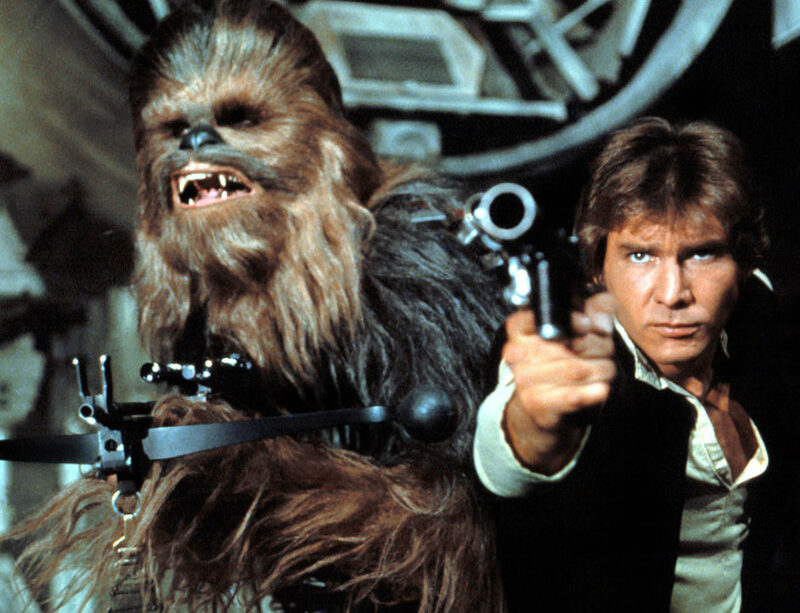 While fans were disappointed they didn’t see Chewy go full wookiee at the very end of Star Wars Episode VII: The Force Awakens when ~that~ scene happened, it turns out, we finally get a taste of Chewie’s wrath in a deleted scene for the film. Naturally, spoilers lie ahead. While most traces of the scene have been scrubbed from the internet, there are a few shorter clip floating around Twitter. In the scene, Rey and her foe on Jakka, the evil Unkar Plutt, have a confrontation at Maz Kanata’s castle on Takodana. Doubtful that a lone wookiee can defeat him and his thugs, Unkar pokes the wookiee and the wookiee roars right back, tearing his arm off. In the film, Rey does not encounter Unkar once she and Finn have left Jakku, but in this scene, it appears that the stingy crolute just couldn’t let them get away with taking the Millennium Falcon. Sometimes you just have to let things go, literally. We can also clearly see why this film was deleted from the finished movie because CHEWIE, you just can’t rip someone’s arm off!! With long-time Star Wars actor Peter Mayhew set to appear in the untitled Star Wars Episode: VIII film as Chewbacca and Simon Pegg set to reprise his role as Unkar Plutt, maybe we’ll get to see this showdown happen again, this time on the big screen — and Unkar might be missing his arm and we’ll all be like WHAT? Either way, we’re still hoping for some real wookiee rage in the upcoming installment.